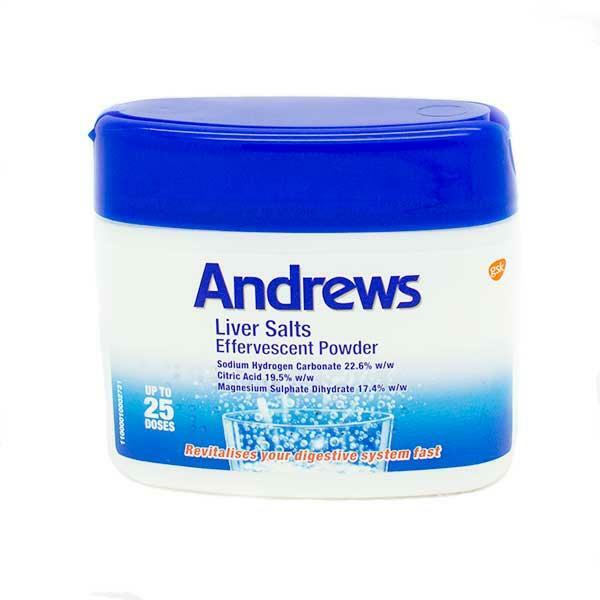 Andrews Liver Salts are you used for the fast relieve of indigestion, excess acid, upset stomach, constipation and effects of over-indulgence. Adults: For upset stomach, indigestion and over-indulgence, measure one or two level teaspoonful into a glass of water and drink. For constipation, measure two level teaspoonful into a glass of water and drink. Take before breakfast or at bedtime. Children aged 6 years and over: Use half the adult dose. Sodium Hydrogen Carobonate 22.6% w/w, Citric Acid 19.5% w/w and Magnesium Sulphate Dihydrate 17.4% w/w. Other ingredients: Sucrose 40.5% w/w, Carbohydrate content: 2g per 5ml teaspoon. Andrews Liver Salts are a fast and effective way of relieving the symptoms of over-indulgence, indigestion, stomach and excess acid. The salts can also be used in the treatment of constipation. 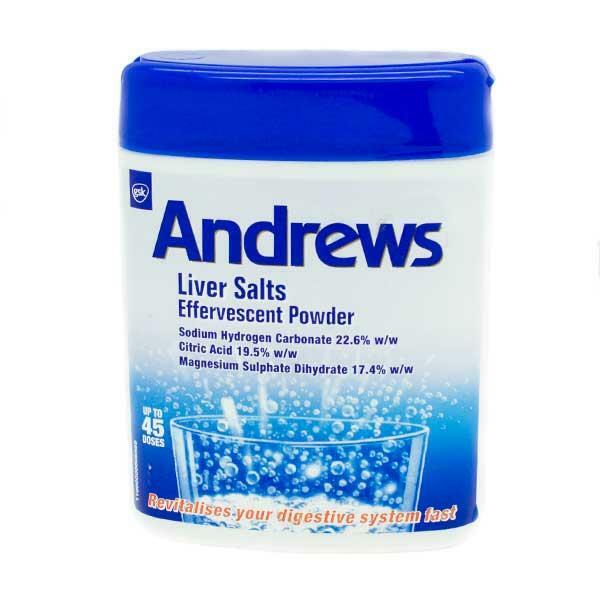 Andrews Liver Salts can be used by adults and children 6 years and over.